According to the 2015 Genworth Cost of Care Survey, assisted living residents in Madison can expect to pay more on an annual basis in comparison to the national average. Assisted living cost averages $48,900 in Wisconsin’s state capital, which is a few thousand dollars more than the US average price tag of $43,200. This cost breaks down to $4,075 per month, or about $134 per day. This annual figure represents a rather cost-effective alternative option for seniors that don’t want to continue to maintain a home yet aren’t ready to receive skilled nursing care. Madison’s annual assisted living cost is well below the city’s home health and homemaker annual average of about $61,501. Furthermore, Madison’s annual assisted living price tag is substantially less than its nursing home care costs, which annually average out to about $86,870 for a semi-private room and about $94,991 for a private room. What’s assisted living in Madison like? The assisted living experience in Madison will slightly differ depending on what assisted living community you choose. While each of these special facilities all strive to create a secure, safe environment for all patrons, they go about achieving this endgame differently. The differences between these communities are partially driven by the surrounding neighborhoods they happen to be in, as they tend to match the atmosphere and culture of the community. Most of these differences that are experienced are typically found within each facility’s menu of a la carte services in addition to the services that are included with the residents’ monthly fees. Private living quarters. This is typically the equivalent of a studio or 1-bedroom apartment in size, but they can be as large as a multi-bedroom space about the size of a small house. 24-hour security and supervision. This includes on-site security as well as on-call nursing assistance. Emergency call systems in each living space, in case summoning help is needed. Basic utilities. These include elements like water, natural gas, and electricity. Medication services. These include reminders to take medication on schedule as well as reminders on prescription refills. Wellness and fitness activities. These range from modern options like yoga to traditional choices like a fitness center. Social and recreational opportunities. These range from game nights and movie nights to field trips to points of interest such as the Overture Center for the Arts and the Wisconsin Historical Museum. 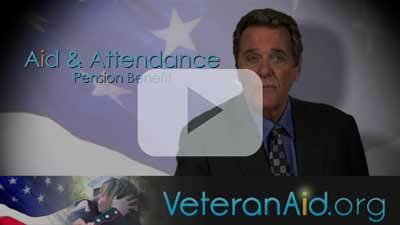 The Wisconsin Department of Veterans Affairs provides aid and assistance to Wisconsin’s numerous veterans as they try to negotiation the VA benefits system. Those that wish to pay it forward and help fellow veterans figure out their benefits can do so through the organization on a volunteer basis. The main military-themed point of interest to be found in Madison is the Wisconsin Veterans Museum. Vets will find numerous ongoing and temporary exhibitions, presentations, and other programs that tell the story of Wisconsin’s contribution to defending our country from the Civil War up to modern times.